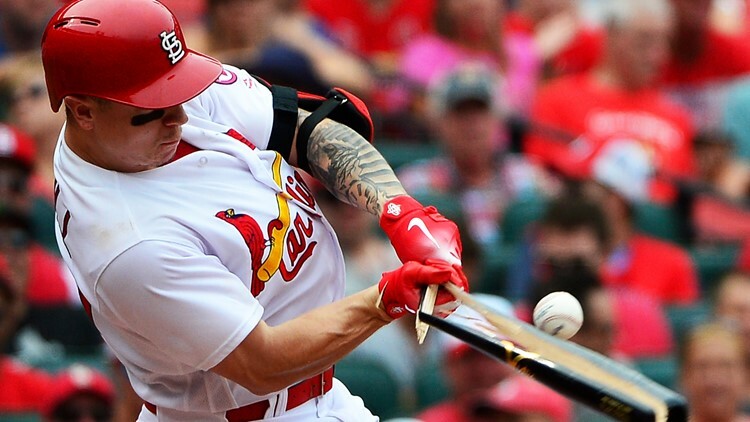 The Cardinals' resident bodybuilder has wasted no time showing off his prodigious lifting ability this spring training. JUPITER, Fla. — We're officially just a day into Cardinals spring training and Tyler O'Neill has already 'pumped' up the St. Louis fan base with another impressive feat of strength. O'Neill posted this video of him bench pressing what appears to be 405 pounds down at a Cardinals facility in Florida on Tuesday. For a reference, 405 pounds is roughly two Yadier Molinas. He posted this impressive squat video earlier this offseason. 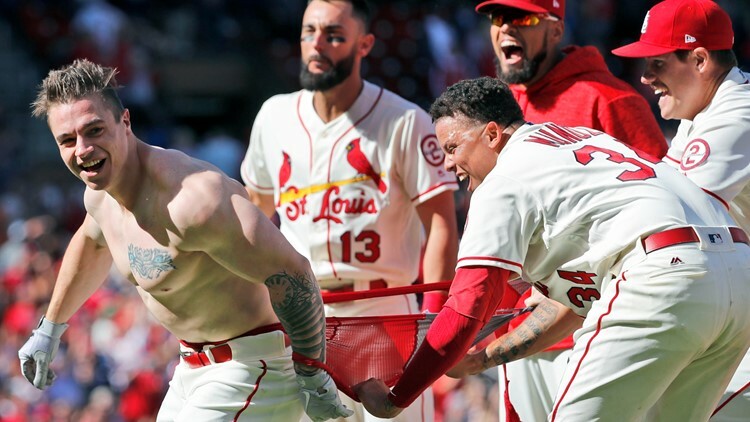 His Cardinals teammates made sure fans got to see his impressive physique after his walk-off home run against the Giants last season. It's safe to say the apple hasn't fallen far from the tree. Tyler's dad is a former professional bodybuilder and winner of "Mr. Canada".